The goodwill your business has built through its quality products and services is personified in your trademark. Protecting that mark protects your business. Our attorneys have handled trademark matters in state and federal courts around the country. We have litigated trademark cases to large jury verdicts in federal courts, and we have handled trademark-related arbitration in front of international arbitration bodies, such as the World Intellectual Property Organization, the National Arbitration Forum, and the South African Institute of Intellectual Property Law. Isn’t it time you hired an expert to handle your trademark matter? Trust a firm with a proven track record. 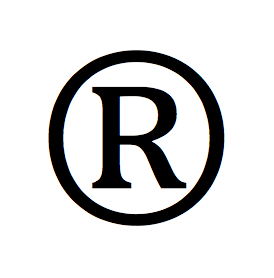 Revision Legal’s attorneys have handled trademark infringement and unfair competition matters in state and federal courts across the United States and in front of arbitration bodies both in the United States and abroad. Our trademark litigation attorneys can protect your trademark rights in court or defend against overreaching trademark claims. To protect your marks, click here. Revision Legal’s attorneys can actively monitoring the use of your mark throughout the internet. Revision Legal does this by offering advanced software that crawls the internet documenting the use of your mark. Every quarter our software produces a detailed report showing exactly how your mark has been used. The most efficient, economic method of fulfilling this responsibility is outsourcing trademark monitoring through Revision Legal. To learn more about monitoring your brand, click here.